RollSafe is a fully-automated, dropped-object and harsh-environment protection system, with both Mansafe and ATEX 1 classification. Drawing on Rigmar’s knowledge and experience within the offshore drilling sector and System 2000’s pioneering, anti ram-raid, roller shutter expertise, the two companies have co-developed RollSafe to deliver client benefits in the most challenging environments. The system has been certified for offshore use by the DNV, with the review process supported by both Finite Element Analysis and Live Load Testing. System design, manufacture, installation and commissioning can be completed within 120 days of initial survey. Rigmar is the exclusive supplier of RollSafe to the Oil & Gas Industry. RollSafe systems are installed on offshore drilling units, delivering both safety and productivity benefits. 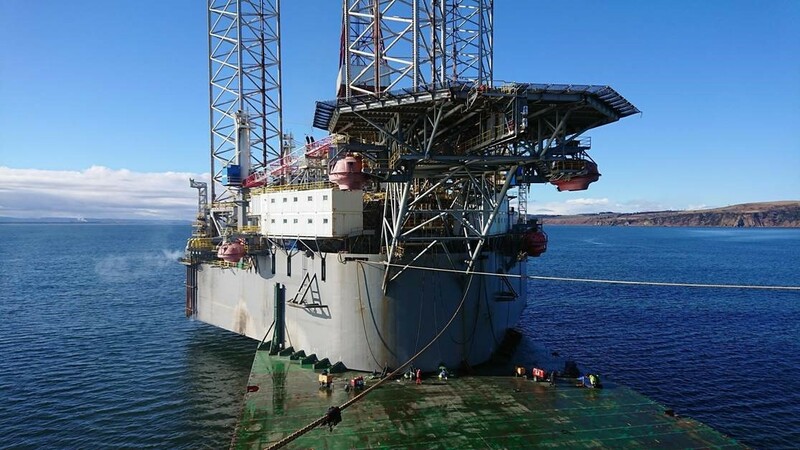 The systems are installed in the moon pool area on jack-up drilling rigs, where they protect personnel working on both the Texas Deck and satellite installations below, allowing simultaneous working at both levels, maximising operational productivity. Other applications include access hatches, walkways and ROV moon pools, taking advantage of the systems load capacity, allowing the ROV to occupy the same footprint when parked as when deployed, potentially reducing it’s impact on premium deck space by 50%. At the heart of RollSafe is the patented lath design. The design of this unique extrusion delivers the majority of the key elements of RollSafe and is the result of an exhaustive engineering design and testing process. A key element of the testing phase involved the construction of a prototype, built to the exact specification of the proposed design. The prototype was then tested to destruction, to a factor of safety >3, witnessed by both client and DNV representatives. System 2000 Group Ltd was founded in 1970 and is widely acknowledged to be one of the UK’s leading companies in the field of high security shutters, grilles, doors and anti ram-raid systems. The company operates from centrally located premises in Birmingham and provides an extensive range of security products and shopfronts.